Our Boulevard model included a loft style bed in the guest bedroom. 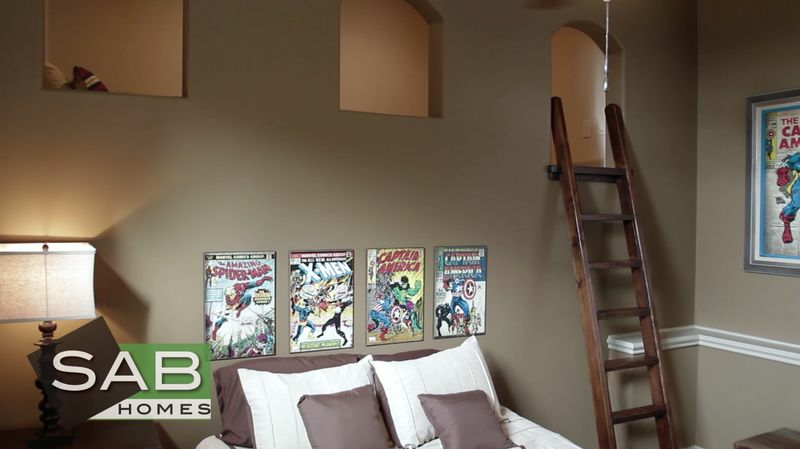 Kids could climb up the ladder and enjoy their own semi-private sleeping nook or play area. This home also had an elevator incorporated into the floor plan. The "elevator" area was a walk-in pantry, with conversion to an elevator later as an option.